Mr. Lopeman served on the Squaxin Island Tribal Council for 30 years — 24 as chairman — and was instrumental in establishing the Northwest Indian Treatment Center, the Squaxin Island Tribal Center and Little Creek Casino Resort. 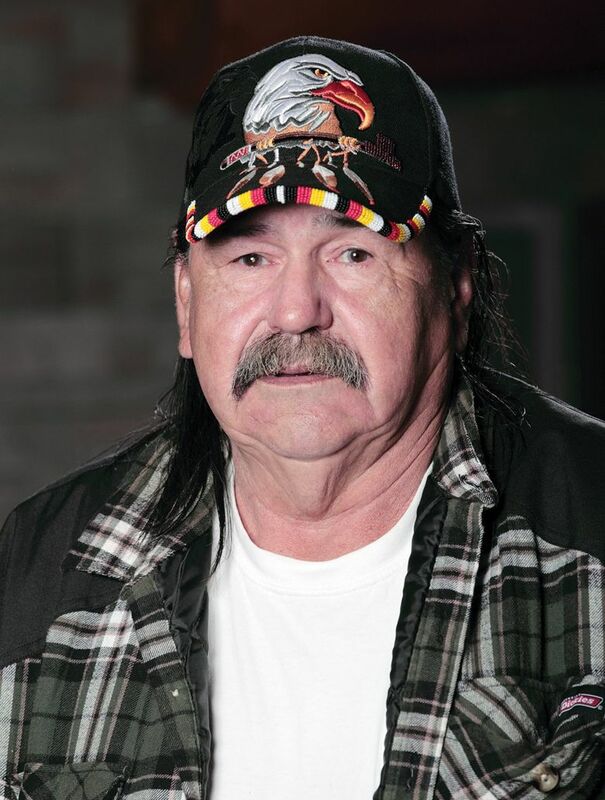 David E. Lopeman, longtime chairman of the Squaxin Island Tribe, is remembered as a staunch supporter of the tribe’s sovereignty and a champion of much of its business development. Mr. Lopeman, 75, died in his sleep at his home in Kamilche on Jan. 9, according to the tribe. He served on the Squaxin Island Tribal Council for 30 years — 24 as chairman — and those who knew him say he had a hand in everything. Mr. Lopeman lived most of his life in Kamilche, located in the south Puget Sound between Shelton and Olympia, where the Squaxin Island Tribe is headquartered. In 1967, he married Shirley Ann Rogers. He was involved in protests for Native fishing rights in the late 1960s, a time of high tension around the issue, and was first elected to the tribal council in 1981. Mr. Lopeman was instrumental in most of the tribe’s large projects, Peters said, including the establishment of the Northwest Indian Treatment Center, which provides alcohol and drug treatment to primarily Native people in the Northwest, the Squaxin Island Tribal Center and Elders Building, Little Creek Casino Resort and the Sally Selvidge Health Center. Longtime friend Sally Brownfield said Mr. Lopeman was known as a reliable presence, someone who was there for everyone. Mr. Lopeman would visit people in prison and work to reintegrate them into the community upon their release. He forged an agreement with the state to allow some incarcerated tribe members to pay last visits to dying family members and attend funerals under the supervision of tribal law-enforcement officers, Brownfield said. The agreement was just one example of how Mr. Lopeman defended the tribe’s sovereignty and the best interests of its members, Brownfield said. “He was a really staunch supporter of our treaties and that it was up to the people in our tribe to decide what our destiny was, no one else,” Brownfield said. Mr. Lopeman was involved in fishing protests in the ’60s, but in later years focused on developing relationships with other government officials, Brownfield said. He treated people the same no matter who they were, and he never dressed up for anyone, Peters said. Mr. Lopeman helped add hundreds of acres in tribal land, including Church Point, where the Indian Shaker Church originated, Brownfield said. He also oversaw the tribe’s growth to become a top employer in Mason County even while economic development was challenging. Some of his ventures were controversial, such as the establishment of a cigarette-managing plant on tribal land in 1999, the first such enterprise by a tribe in the state, according to The Seattle Times. It came at a time when lung cancer among Native Americans was rising and officials were fighting big tobacco companies. Mr. Lopeman told a Times reporter then that he worried the business would encourage young tribe members to smoke. But the tribe was facing a near 20-percent unemployment rate, and tribal leaders felt they could use some of the profits to strengthen their anti-smoking program, according to The Times. Mr. Lopeman didn’t see enterprise as a good or bad thing, but something the tribe had the right to pursue like any other government, Brownfield said. When he wasn’t working, Mr. Lopeman enjoyed the Seahawks and the Mariners, going hunting with his grandsons and old cars. Mr. Lopeman was preceded in death by his parents; his wife, Shirley; and his granddaughter, Cynthia, according to a statement from the tribe. He is survived by his daughter, Donna Baker; grandsons, Steven and David Dorland; brother, Billy Lopeman; and five great-grandchildren: Owen, Zane, Finn, Lilly and Totten, all of Kamilche.